Who can invest through FundingKnight? FundingKnight aims to help investors of all types and sizes to gain attractive returns on their investments. *Non-UK residents will be considered at our sole discretion, but must be able to provide us with suitable documentation for us to meet our obligations in respect of investor identification, anti-money laundering and, where required under UK law, tax reporting. Typically this will include a certified copy of their passport and evidence of current residence. It may be possible to invest in FundingKnight loans through a pension scheme, if your scheme allows you to select investments, such as a Small Self-Administered Scheme (SSAS). You may also be able to use a specialist Self Invested Pension Plan (SIPP) to invest in our loans. However most SIPP providers do not currently offer this option due to the complex regulatory requirements. For some pension investors, investment may be possible by moving funds from a SIPP to a SSAS, your usual financial adviser should be able to advise you on this. If you are interested in obtaining further information about pension investment, please contact andrew.howard@fundingknight.com. Investors using the FundingKnight platform do not invest in FundingKnight itself. Our business is funded by our shareholders and our fee income. When you add any money to your account it is held in a segregated client account, which means that the bank knows and has acknowledged that any money in this account is ring-fenced and does not belong to FundingKnight, but belongs to our investors. The FundingKnight client accounts are administered following the rules set out by the Financial Conduct Authority for managing client assets. In the event that the bank holding your funds should get into difficulties then your cash is protected by the Financial Services Compensation Scheme (FSCS), even if you have committed it in our auctions. For more information about the FSCS and what it covers, please visit their website: www.fscs.org.uk. When you make a loan, this is between you and the borrower, with FundingKnight handling the administration. Unlike your funds held in a client account, your loan investments are not covered by the Financial Services Compensation Scheme, which is why we strongly recommend diversifying across a wide range of loans and borrowers. FundingKnight does not directly invest in any loans, although our management team and shareholders do but only on the same terms as all other investors. In the event of a default FundingKnight investors are in the same position as all other investors. Our fees to the borrower for administering loans are chargeable before any funds are payable to investors. Where we have instructed lawyers or debt administration agents to act of investors’ behalf to pursue problem loans, their fees are payable first. Firstly, by competing for a stake in our loans via an auction process. Based on the detailed company information provided and our risk banding (read more about our screening process for borrowers, and how we assess risk), you decide on the interest rate that you wish to achieve. Secondly, you can construct an instant portfolio by buying loan parts from other investors through our online Marketplace. This is an excellent way to build a strong and balanced portfolio of investments quickly and efficiently. Additionally you can buy (and sell) loan parts with other investors through our online Marketplace. Investors can trade any part of a loan, normally subject to a £25 minimum. This is an excellent way to build a well diversified portfolio of investments quickly and efficiently. Find out more about our Marketplace. You have full control over how much to invest: our minimum investment amount is £25. Investors cannot hold more than 20% of any loan (either at auction or 20% of the outstanding balance once the loan is partly paid off). To ensure that you are spreading your risk, we recommend investing in a number of different loan parts (for example, using £2,500 to buy 100 different loan parts). In the Marketplace, you can usually buy loan parts of between £25 and £10,000. If you would like to invest more than £10,000 in an existing loan, please contact our team. FundingKnight lends to UK-based limited companies or LLPs with a minimum of 2 years’ trading history, at least one year’s filed accounts and a minimum turnover of £100,000. We do not lend to start-ups or sole traders. We approve Commercial Property loans for the purchase, improvement or refinancing of properties in England and Wales. These properties can be commercial, buy-to-let or residential (as long as they are not owner-occupied). Our Green Energy loans are only approved for UK-based projects in solar, wind, biomass and tidal power. During our vetting process we make sure they already have everything in place, such as: grid connection agreements, planning consent, feed-in tariff confirmation and the most experienced operators at the ready. All of our registered investors are able to find out detailed information about the risk of each loan before they start bidding. The loan profile page shows the reason for the loan, profiles of the key people behind the borrower, a profile of the business (or description of the project as applicable) and relevant financial information. During a loan auction, you also have the opportunity to ask borrowers questions directly through the website. We currently provide loans ranging from 6 months through to 5 years. If you wish to withdraw your investment before the loan term is complete, you can offer to sell your loan parts to our other investors in the Marketplace. Please note that all loan parts offered for sale require another investor to purchase them. This means there is no guaranteed access to cash. It is also possible for borrowers to repay their loans early. We fill all of our loan auctions – and you will start earning interest once the auction is completed successfully. Because we contractually commit borrowers to accept a loan before the auction starts (providing the final average rate of interest is at, or below, their stated reserve rate), there is no delay. Borrowers draw down funds immediately – and you start earning interest straight away. Business loans: When money is lent to a company and the rate of interest has been agreed through the auction process, the company then makes a monthly payment which will be the same every month for the term of the loan. This monthly figure includes interest calculated daily on the outstanding loan capital. Commercial Property loans: Commercial Property finance borrowers can pay interest to investors monthly, roll up the interest to the end of the loan, or repay on a part-amortising basis. The remaining capital and any rolled up interest due will be repaid at the end of the term. Green Energy loans: During the initial period, interest may be paid or rolled up. The next stage of the loan, usually commencing in year two, will see interest being paid and a small percentage of the capital. At the end of the loan, the remaining capital, usually reduced by 15%, will be repaid. It is possible for a payment holiday to be taken and interest and /or capital caught up during the course of any loan. If any loan repayment is outside of the norm we will include details in our loan announcement. Please note: to get the best return from your portfolio you should log in and look at your Dashboard (the homepage for registered investors) on a regular basis to minimise un-invested funds in your investor account. What do my repayments consist of? With Business loans, your monthly payment will consist of capital and interest on the loan amount outstanding. The interest is calculated daily on an amortising balance. The borrower makes a fixed repayment each month and, rather like a repayment mortgage, this means that proportionately more of the payment in the early months of the loan will be interest. When you see your interest income from a borrower come in over successive months you should expect this amount to reduce slightly on each occasion. At the same time you will see slightly more repaid against the outstanding loan value each month. With Commercial Property loans, there are three repayment types: there can be monthly payments of interest, interest and a portion of the capital, or else the rolled-up interest with the capital is repaid as a lump sum at the end of the term..
With Green Energy loans early payments consist solely of interest. Then as the loan progresses this payment includes the return of some of the capital lent. What will be the average return on my investment? The overall return on your investment will vary according to several factors; the interest rate on the loans you invest in, the term of the investment, the spread of different loans, the level of defaults in your portfolio, how you use uninvested cash and any tax which you are required to pay on your investment. The loan ratings provide you with an indication of the expected level of bad debts, allowing you to adjust the gross rate to balance the relative risk. For more information on the average rates of interest achieved over recent loans, visit our statistics page. This will also give you information on estimated annual default rates. For more information on tax, please see our question on tax implications or contact your tax adviser. When using the FundingKnight investment platform, you will see the term “Effective Annual Rate”. This is the gross rate that a prospective investor would receive if they bought the loan part today at the asking price and kept it until redemption. It takes into account the timings of the scheduled payments. Please note: it is calculated before any liability for tax and any adjustment for defaults, and assumes that the borrower makes all future payments on time. What checks do you carry out on investors? We are required to conduct anti-fraud and anti-money laundering checks in line with legal requirements. In some circumstances this does mean that we will ask you to provide additional information to confirm your identity. Please note: you will also need to register your bank account details before we can accept any funds into your account. This information is required both for your security and your convenience. All funds that you withdraw from your FundingKnight account are paid into this account. How do I add funds to my FundingKnight account? You can transfer funds directly from your bank account into our FundingKnight segregated client account. We will then allocate these deposits to your online investor account. Please ensure that you always quote your unique investor account number when transferring funds as this will help ensure funds are allocated as quickly as possible. In the majority of cases, investor deposits are credited automatically between our systems without needing FundingKnight staff to approve them. During the working day, it typically takes 2-4 hours for our bank to receive funds, and a further hour for our bank’s system to notify us of this. This may take longer overnight and at weekends. The exact length of time before the money appears in your account will depend on your bank, the total transfer (amounts of £1,000 may take longer) and whether your account uses the ‘Faster Payment’ system. If you are unsure whether your account is on the ‘Faster Payment’ system, please contact your branch or check directly on the Faster Payments website. How do I access the cash in my account? When you first register as an investor, you provide details of a bank account you wish to use. To access your cash, you simply log in to your account and select ‘withdraw funds’. If you want to do this automatically, you can also use our Automated Cash Withdrawal facility. Please note: you cannot withdraw funds which are committed to bids or already invested in a loan. If you want to access funds that you have invested in a loan, you will need to sell the investment via the Marketplace. You can access your money at any point during a loan term by offering your loan parts for sale in the Marketplace. Simply choose how much of each loan you want to sell and set the price you require. Please note that all loan parts offered for sale require another investor to purchase them. This means there is no guaranteed access to cash. We charge a 0.25% fee to investors selling all or part of their investment in the Marketplace. You may wish to recoup your 0.25% fee. To do this you can offer your loan at a premium, see premium vs discount in ‘how to buy and sell in the marketplace‘. Will I own part of the company I am investing in? No. Equity in the company is not passed to investors. You will own a part of the loan, but not part of the company. FundingKnight does not provide tax advice and the statements here are simply guidelines for ordinary UK private investors. If you have any questions about your tax situation, you should contact your tax adviser or local tax office. IMPORTANT: The following notes are based on our understanding of the current tax position in the UK, this position may change in the future. For most UK individual tax payers, the interest you receive from peer-to-peer investments will be treated as savings income and income tax is payable on that interest. Some investors who are lending to a large number of borrowers may be deemed to be carrying on a trade of money lending, for more details see this HMRC guidance. From April 2016, the first £1,000 of savings income, which includes interest on peer-to-peer investments, is tax-free. This is reduced to £500 for higher-rate taxpayers. Above these amounts savings income is taxable at the marginal income tax rate, and investors will need to declare their peer-to-peer earnings to HMRC annually. We do not currently make any deductions from you interest for tax. Our understanding is that any gains or losses made through buying or selling on the Marketplace are not subject to UK Capital Gains Tax. Some FundingKnight loans classified as “In Recovery” can be treated as irrecoverable for tax purposes. Loans “In Recovery” will be treated differently depending on the precise date when the original borrower ceased to be able to pay. A claim for loss against Income Tax is not possible. A claim for loss against Capital Gains Tax is only possible once all payments have stopped. A claim for loss against Income Tax is possible. This must be made by the investor to HMRC. The Capital Gains Tax position is as above. The loss is automatically considered irrecoverable for Income Tax purposes. The loss claim will, in most instances, be made by the platform (e.g. FundingKnight). Capital Gains Tax relief will no longer be available in most instances. You can find tax reports, detailing the interest and capital repayments, on our investment platform under My money – My tax reports. It is possible to change the date range on these reports to suit specific requirements. If the dates selected include a future date, the tax report only provides data on the actual income received to date – it is not a tax forecast of any payments you might receive. For reporting losses made before April 2015, or for more clarification about any of this information, please speak to a financial consultant/tax adviser. How do I bid in live auctions? All auctions are operated on a ‘reverse auction’ basis. This means that those bids with the lowest interest rates are those which form the final loan to the borrower. You will be able to read about each business or project, the background of the people behind the borrower, the purpose of the loan and relevant financial information. You can also put questions directly to the borrower – the Q&As are available for all registered investors to see. Every borrower commits in advance to accepting a filled loan – providing that the collective average interest rate does not exceed an agreed maximum (known as the Reserve Rate). As an investor, you can place bids during the auction period – choosing how much to invest and at what interest rate. You can place as many different bids as you wish. Please note: you cannot withdraw a bid. When you place a bid, you are asked to confirm your intention to purchase the loan part if your bid is successful. Each auction typically runs for 7 days – though this can vary. For example, it could be extended to accommodate a bank holiday, or closed early if the borrower has already fully funded their loan at a rate they are happy with. These auctions will be clearly highlighted. It is usually in the borrower’s best interest to let the auction run for its full period, to ensure they will get the lowest rate. During the auction, you may be outbid by other investors prepared to accept a lower interest rate. If this happens, we can send you an email to let you know and give you the opportunity to improve your bid if you should wish to. You will need to adjust your communications preferences to allow these email notifications. Please note: you can invest in any live auction, even if it is fully funded. The “100% funded” statement simply shows that investor interest covers the whole amount of the loan. To invest in this loan successfully, you will need to offer an interest rate lower than the highest existing bid. When the auction ends, the funds are paid to the borrower and the auction then becomes a live loan. This will be indicated on your statement and you will also receive an email confirmation for each successful bid. Once the auction becomes a live loan, you are free to offer loan parts for sale through our Marketplace. The first bids taken up by the borrower are the ones with the lowest interest rate. If two bidders offer the same rate, the earliest bidder ranks highest. What if there are insufficient bids at the reserve rate? Autobid is designed to save you time, and stop you missing investment opportunities. Purpose-built for investors, it enables you to bid on FundingKnight’s live auctions automatically. Finally, you can then choose your bid amount rules – setting an amount per loan (in £) for each risk rating. When you turn on Autobid the system will place a bid on your behalf every time we launch a new auction provided you have sufficient funds, and aren’t already exposed (either in another running auction, or an existing loan) to that borrower. Note: you can update your preferences or switch off Autobid at any time. We will remind you if Autobid is switched on every time you visit your investor Dashboard. Can I ask the borrower questions ? Yes. You will have the opportunity to ask borrowers questions on new loans about the company or the loan during the lifetime of the auction. These questions and answers are shared and are available to all investors to view. The auction is fully funded - am I too late to invest? No, you can still invest in any live auction. The “100% funded” statement simply shows that investor interest covers the whole amount of the loan. To invest in this loan successfully, you will need to offer an interest rate low enough to outbid other investors. How does my money reach the borrower? We pay the funds to the borrower immediately after an auction ends – either straight into their account, or to a solicitor’s account where appropriate. The Marketplace is a trading platform where you can sell part or all of your loan parts to other registered FundingKnight investors. This is the quickest and most effective way to expand and diversify your portfolio. To purchase loan parts that other investors have for sale, visit the Marketplace via the links on your investor Dashboard. Here, you can view all the loan parts for sale, filter them by company, investment value, term remaining, risk rating and minimum interest rate. Whenever you buy (or sell) a loan part, this will be shown on your statement as a ‘loan novation’ – this is simply the mechanism that enables the buyer to take over the seller’s legal relationship with the borrower. QuickBuy allows you to search for loan parts for sale by size of investment, term of loan remaining, risk rating and interest. Please note: the actual loan parts offered will reflect the amount of cash you have available to invest; there may be other loan parts available in the Marketplace. Advanced allows you to purchase loan parts on offer through the Marketplace. If you wish to make multiple purchases it may be preferable to use the Quick Buy option. Autobuy allows investors wishing to own loan parts to submit offers to buy. The investor making the offer sets the interest rate they wish to achieve. Depending upon the underlying interest rate on the loan parts on offer, the price paid by the investor may include a premium, see premium vs discount below. From your investor Dashboard, you can see all the loan parts that you have in your portfolio and can offer for sale. Any loan parts for sale will appear in the Marketplace – showing details of the loan and the price you’re looking for. Please note that you do not have to sell the whole of your loan holding; you can choose how much of it you wish to sell. We charge a 0.25% fee to investors selling all or part of their investment in the Marketplace. The 0.25% fee only applies to the amount actually sold. Please also be aware that all loan parts offered for sale require another investor to purchase them. This means there is no guaranteed access to cash. Should we become aware of software or other technical problems, FundingKnight reserves the right to restrict trading on one or more loans or to suspend all trading on the Marketplace. This action will only be taken where we consider it necessary to protect the interests of our users, to ensure that payments collected from borrowers are correctly allocated to investors or where we believe that allowing sale transactions would result in the incorrect results, benefiting one group of investors at the expense of another. In such instances all affected investors will be notified immediately. You are able to offer loans parts at a premium where the interest rates now available are less than the rate you were achieving on your loan part. As a buyer, your expected rate of return is lower than on the original loan. This is because as the loan is repaid, you will receive back the capital you bought and the interest due on that, but not the premium you paid..
You are also able to offer loan parts at a discount. Here, you sell the right to receive income from a business to a new investor, and you receive less money than the amount left to be repaid on the loan. As a buyer, your expected rate of return is higher than on the original loan. This is because as the loan is repaid, you will receive back the capital you bought and the interest due on that, even though you bought the capital at a discount. Important: Not only we do we offer investors the opportunity to trade their loan parts in the marketplace, but we also allow borrowers to repay their loans early. When an investor has bought a loan part at a discount or a premium, early repayment will change the effective rate of return on their holding – for investors who bought at a discount, the rate will improve, but for investors who have paid a premium the rate will be reduced and in some cases, if the loan is repaid very shortly after purchase, it is possible to make an overall loss. When offering a loan part for sale you simply set the amount of capital that you are looking to list on the marketplace and a selling price (either at a premium, discount or par) you are willing to exchange at. The tools will highlight the effective annual rate for the buyer based on this selling price, and the amount you will receive net of our 0.25% novation fee. If a payment is due from a borrower – but has not yet been received or processed by FundingKnight – this will automatically suspend any sale of that borrower’s loan parts in the Marketplace for up to 5 days. Offers will resume automatically after that point, but potential purchasers will be alerted if the payment has still not been received. We have actively decided to allow the trading of loan parts with an impaired payment record, or classified as non-performing. This is because we believe that some investors may always wish to realise loans, and others may be prepared to take additional risk to buy these loan parts, though typically at a higher interest and a lower price. The important thing here is that such loan parts offered for sale carry a clear disclosure of the risk and additional risk warnings, prior to purchase. Where the reason for the non-payment is sufficiently serious that we consider the borrower either cannot or will not continue making payments, we move the loan into ‘recovery’ and immediately suspend trading in that loan. How does a seller set the interest rate? When setting the sale price of a loan part, the seller should take into account the speed at which a sale is required. Other loan parts may be available and the seller should also consider these when setting their own price. As a seller, you can demand a high price if the loan has been performing and the initial interest rate bought is higher than currently being offered by new loans offerings. The term left to run on the loan part will also have a part to play in attracting buyers. See more in ‘How to buy and sell in the Marketplace’. When the loan part was originally purchased, there was a set rate of interest to be paid by the borrower. The ‘coupon’ is the underlying interest rate that the borrower is paying on the loan part. Autobuy allows investors to place offers to buy loan parts in the Marketplace automatically. It is an excellent way to make sure your portfolio of investments stays balanced over time. It also prevents prevents uninvested cash building up in your account, earning no interest. With Autobuy, you can set offers with different time limits and Effective Annual Rates (EARs) to make sure you get a good deal – and you can review or cancel your offers at any time. An offer to buy: you specify how much you want to purchase and the EAR you want to achieve. Sellers can view the offers and sell all or part of their loan instantly. Single offer: you can also create a one-off single offer, for example to buy into a particular loan. Repeat offer: this is a great way to keep your investment in a loan at a desired level over a period of time. As borrowers progressively repay their loans, the investment level of any given investor will fall. Repeat offers can be used to buy you back in automatically. You can set up Autobuy at any time on the investor platform. How do I manage my investor account? When you log in to your investor account, you will see your investor Dashboard. This shows you key information about your personal account with FundingKnight. It includes the total amount you have invested in loans, the cash you have available to invest, the loan parts you have purchased, and your personal details. From your Dashboard, you can also access other areas of the investor platform – for example to add funds to your account, or change your personal settings. Under our loan agreements interest arises daily. Until that interest is paid by the borrower it is treated as accrued interest and belongs to the current owner of the loan. When a loan part is sold, the price paid by the buyer includes any accrued interest due to the seller at the date of sale. For most UK taxpayers, the accrued interest as at the sale date forms part of the seller’s taxable income. When the borrower pays the interest, the buyer receives a credit, so that they are not taxed on the same income as the seller. Once you start investing, you will normally receive a monthly payment which consists of the interest and capital owed on your loans. When this reaches your investor account, you are free to reinvest or withdraw the funds as you wish into your nominated bank account. You can make a one-off withdrawal at any time by logging in, navigating to ‘My Money’ and selecting ‘Withdraw Money’. A fixed amount each month: best if you want to receive an income from your FundingKnight account. All your available funds each month: best to minimise “cash drag” – the impact of leaving cash earning zero interest. (You only earn interest on money lent to borrowers, not on the cash balance on your account). All but a set amount each month: best if you want to continue investing without letting too much uninvested cash build up. To use Autobid, you simply need to tell us how much you wish to withdraw, and the day of the month you want your withdrawal to be processed. How do I control the information I receive? We only want you to receive emails that will be of interest to you. Once you have registered with FundingKnight you can check and adjust the level of communications you receive on the communication preferences page via your investor Dashboard. Please note: we will only override your communications preferences to advise you of changes to our Terms & Conditions, provide material information that affects your investments, or to meet regulatory requirements. If you are having any technical difficulties using our investor platform, please see our Support and Resources section, or contact our team. There are risks with every type of investment and peer-to-peer is no different. Although we carry out a lot of due diligence, you should assume that a small proportion of loans will run into difficulties. 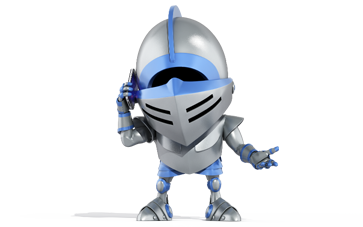 Once a loan has started, FundingKnight monitors repayments regularly – and we pursue any late payments. Where a business fails, we will do our best to recover your money, but this may not always be possible. You could then lose part or all of your investment in that loan. Please note: FundingKnight does not currently offer a compensation scheme to protect against any losses, should a company that you lend to default on the loan. FundingKnight is not covered by the Financial Services Compensation Scheme. This is why we strongly advise you to consider the risk ratings that we assign and to spread your investments across as many loans – and types of loans – as possible. This will minimise the impact of any one investment failing, and any bad debt. Registered users can find out about our current default rates on the Statistics pages on the user site. What is your screening process for businesses? Before any loan auction is approved, our experienced lending team carry out a significant amount of due diligence. As well as asking for financial and management information upfront, they run external checks and conduct a detailed telephone interview. We use historic and traditional credit scoring. However, while the past is important in allowing us to form an opinion about the management’s strengths and abilities, it is the future cash that will see the loan repayments made. That is why we equally consider the ‘direction of travel’ of the business – where it is now and where it is going. The core consideration with any loan opportunity is our assessment of the people. The financial performance of a company is only ever the by-product of the decisions made by the people. One of the results we aim to achieve as a result of our interview is to get the borrower’s emotional “buy-in” to the crowdlending concept. They are not borrowing from an anonymous institution. Instead, a number of individuals are entrusting part of their savings to them. They have to respect this relationship of trust. We find this approach often has a significant impact on the borrower’s determination to respect his obligations under the loan. Once a case is ready for consideration, we operate a credit committee comprising senior FundingKnight executives and external appointees from a financial or lending background to agree the loan is suitable for us to offer to investors. While the specific lending criteria vary between Business, Property Bridging and Green Energy Loans, our guiding principle has always remained the same: we only approve loans that we would be prepared to invest in ourselves. Indeed, our management team has personally invested in every single loan auction, alongside other investors, since FundingKnight was founded. We also don’t stop working once a loan has been arranged. Our borrower team closely monitors and communicates with borrowers throughout the lifetime of the loan. In addition, we continue to monitor companies through external credit agencies for any changes to credit scores or other potentially relevant information. How do you grade the risks for each loan? The rating we allocate is how we view the risk of lending funds to any particular company. The higher the rating, the lower the perceived risk. In other words, “5” is awarded to the strongest borrowers. When bidding in auctions or buying and selling loan parts in the Marketplace, investors may ask for a higher interest rate for loans with fewer shields to help compensate for the increased risk. Please note: our team will have analysed the information provided by the borrower and asked relevant questions regarding their business and financials. However, we cannot and do not warrant that those statements are true, nor do we endorse or recommend the merits of any of the loan offered to investors. Before making any decision to investors you should consider that each and every loan carries the risk of loss of some or all of your money. For each of our loans we use the information we have gathered to place it into a risk band (shields, castles and windmills) and for each risk band we have assigned an estimated annual default rate. This can be found on our statistics page. This is an estimate of the average proportion of loans of this type that would fail within a year, based on a large number of loans of the same type. So a windmill default rate of 1% would indicate that of 100 such loans we would expect on average one such loan to fail each year. It does not mean that the first, or second loan you invest in will not fail, nor does it mean that more than one loan will not fail within a year – what it aims to estimate is the failure rate over a range of loans over a period of years. While we are assigning our bands based on the data supplied by the borrowers, third party credit scores and a purpose built risk model, crowdlending is a new market and the amount of historic data is extremely limited. As such we expect that any current risk rating models are likely to require substantial revision in the coming years. We recommend that every investor builds a diverse portfolio to limit their exposure to risk. There is no set formula – the exact balance depends on your preferred investment style and appetite for risk. We would always recommend that you spread your investments, so that you will minimise any losses if any one business fails. For example, using £2,500 to buy 100 different loan parts. The quickest way to build and diversify your investment portfolio is to buy and trade loan parts in the Marketplace. Do all loans get fully funded? The borrower is committed before the auction starts. Before the auction begins, the borrower completes legal documentation committing to accept the loan, provided that the average rate of interest achieved in the auction is at, or below, a maximum rate (known as the ‘reserve rate’). We ensure that auctions are fully filled at the reserve rate. We work with a group of underwriters who have agreed to participate in each auction and invest in whatever proportion of the loan which is not taken up by other investors. They do this by bidding in the auction alongside other investors. Their bids are placed gradually during the life of the auction and all bids are at the reserve rate. They cease to bid when the reserve rate for the auction has been met. Are the loans guaranteed or secured? Most loans are backed by personal guarantees. In certain circumstances, for example with larger loans, we will look to take security and for property loans we will secure charge against the property. Important: Your capital is at risk. Neither your capital or your interest is guaranteed. In the case of a default it may be difficult or even impossible to realise the outstanding funds from the security provided. Yes. There is no early redemption charge to borrowers. If a loan is repaid early, investors will receive the return of capital and any accrued interest to reinvest. For Property Bridging loans, we require a minimum of 3 months interest to be paid. How do you manage late or non-payments? If a loan defaults, we will work with the borrower and any guarantors to recover whatever is possible and distribute any recovered funds proportionally to the investors in the loan. If a borrower goes out of business, we will work with the administrator to recover as much as possible from the company. We will also activate any security taken at the time of the loan and invoke Personal Guarantees given by the principals. In some cases, we may choose to appoint a debt collector. Under these circumstances, FundingKnight will keep you informed and updated with as much information as possible, so that you will be aware of the current status of any defaulted loan. We will inform you by email whenever we publish a new update, which will be shown in the ‘Updates’ tab on the loan details page. Performing loans – there is no reason to believe that the loan won’t be paid. The odd payment may be late but overall we are comfortable the loan will be repaid. Non-performing – either the borrower has a repayment due of more than 45 days or we are no longer comfortable that the loan will be repaid on time. We are in regular discussion with the borrower and will keep investors updated throughout. Note: Loan parts may still be traded in the Marketplace, but with additional risk warnings, and the sale offer will no longer show a rating or an expected annual return to prospective buyers. Loans in debt recovery – we have serious concerns about the borrower’s ability to meet their obligations. We still consider that some or all of the monies owed to investors will be paid, albeit generally by guarantors and/or by realisation of any security, and outside of the original payment schedule. From this point, trading in the Marketplace is suspended. It can take a long time to recover loan debt and security, especially if care is taken to maximise the amount recovered (rather than to conclude the case quickly). In the majority of cases we are therefore unable to estimate the likely amount that may be recovered. Loans which are “In recovery” may, if they meet HMRC’s criteria, be treated as irrecoverable for Income Tax purposes. Where this is the case, the capital written off will be reflected in your Tax summary. From 6th April 2016, loss claims will automatically be treated as losses for Income Tax and offset against your income with us. Loans written off – we are certain there will be no future monies coming in from either security held or from personal guarantors. These loans will no longer appear on your Dashboard page, which reflects your current portfolio. How many loans have defaulted? Please see our screening process and risk grading for more details. However, you should always assume that a small proportion of loans will run into difficulties. Find out more, including information on actual defaults, on our loan statistics page. No, we do not offer an advisory service. However we do seek to provide you with sufficient information to allow you to make an informed decision. Our analysts give each company a risk rating, which will help you to determine the creditworthiness of the company. We cannot and do not endorse or recommend the merits of any of the loans offered to investors. Before making any decision to lend you should consider that each and every loan carries the risk of loss of some or all of your money. Can I invest through a pension fund? It may be possible to invest in FundingKnight loans through a pension scheme. if your scheme allows you to select investments, such as a Small Self-Administered Scheme (SSAS). How are my cash deposits protected? When you add any money to your account it is held in a segregated client account, which means that the bank knows and has acknowledged that any money in this account is ring-fenced and does not belong to FundingKnight, but belongs to our investors. The client account is administered following the rules set out by the Financial Conduct Authority for managing client assets. In the event that the bank holding your funds should get into difficulties then your cash is protected by the Financial Services Compensation Scheme, even if you have committed it in our auctions. You can find out more information about the Financial Services Compensation Scheme on their website: www.fscs.org.uk. When you make a loan, this is between you and the borrower, with FundingKnight handling the administration. Unlike your funds held in the client account, your loan investments are not covered by the Financial Services Compensation Scheme, which is why we strongly recommend diversifying across a wide range of loans and borrowers. FundingKnight does not directly invest in any loans, though our management team and shareholders do, but only on the same terms as all other investors. In the event of a default FundingKnight investors are in the same position as all other investors. What happens if FundingKnight ceases to trade? FundingKnight is wholly owned by GLI Finance Limited (GLIF) who have undertaken to ensure that FundingKnight will at all times have access to sufficient resources to continue to meet the FCA’s financial and other requirements. In the event that FundingKnight should withdraw from the P2P market, then GLIF will also ensure that the business has sufficient resources to wind down the loan book in an orderly manner and in line the FCA’s requirements. FundingKnight is authorised and regulated by the Financial Conduct Authority (FCA) and registered with the Information Commissioner’s Office (ICO).